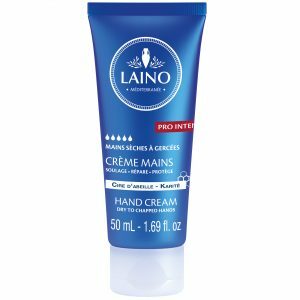 LAINO has selected the best active agents from the Mediterranean to formulate its Well-Being Nourishing Shower Cream for dry skin. 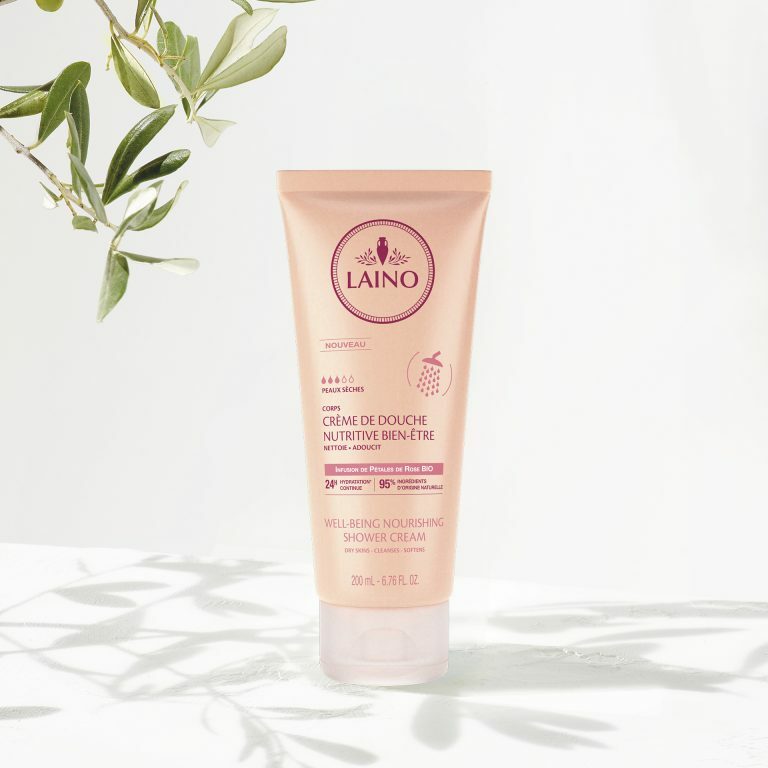 With its ORGANIC rose petal infusion, this shower cream gently cleanses the skin, leaves it soft and envelops the skin with a musky rose fragrance. 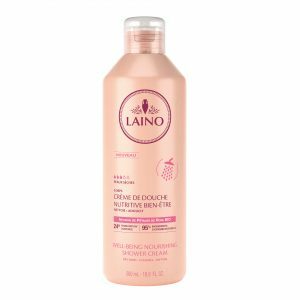 Moisturised* and nourished, the skin is smooth and confortable. * Instrumental test performed on 10 volunteers for 24 hours. Hydration of the upper layers of the epidermis. Apply on wet skin then rinse. 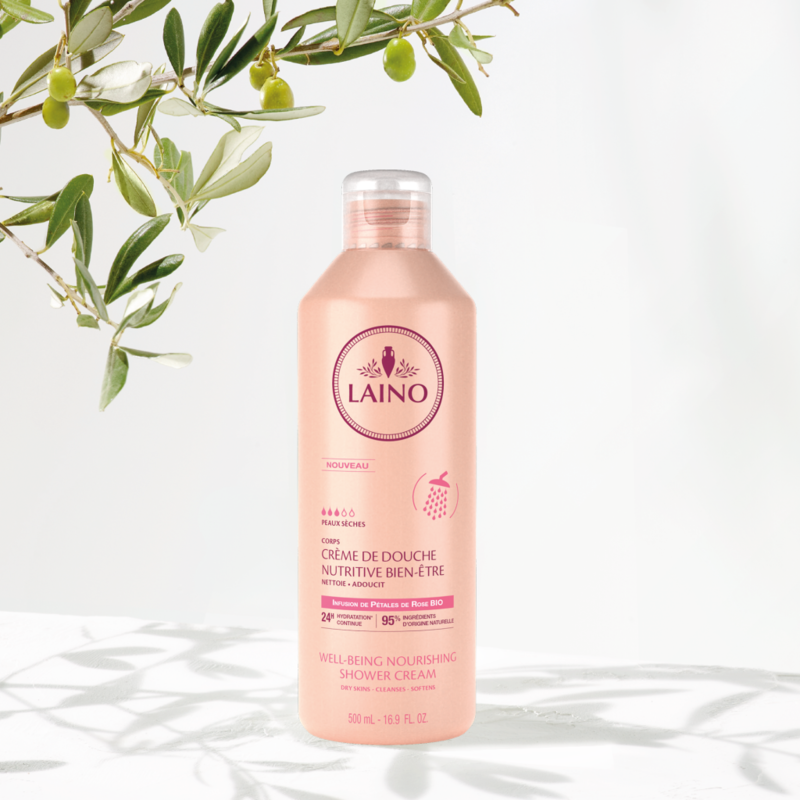 INGREDIENTS: AQUA (WATER) / EAU, HELIANTHUS ANNUUS (SUNFLOWER) SEED OIL, COCAMIDOPROPYL BETAINE, CAPRYLYL/CAPRYL GLUCOSIDE, PARFUM (FRAGRANCE), POLYACRYLATE CROSSPOLYMER-6, PRUNUS AMYGDALUS DULCIS (SWEET ALMOND) OIL, ROSA DAMASCENA FLOWER EXTRACT, ACRYLATES/C10-30 ALKYL ACRYLATE CROSSPOLYMER, SODIUM BENZOATE, SODIUM HYDROXIDE, TETRASODIUM GLUTAMATE DIACETATE.